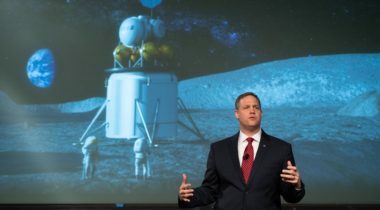 NASA Administrator Jim Bridenstine said the agency’s approach to moving up a human lunar landing from 2028 to 2024 will focus first on speed and then on sustainability. 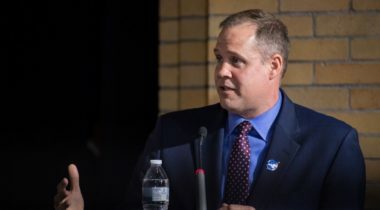 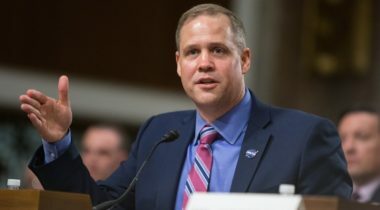 Insisting that all options are under consideration, NASA Administrator Jim Bridenstine said April 1 that he hopes to develop an initial plan within the next couple of weeks for getting astronauts to the surface of the moon by 2024. 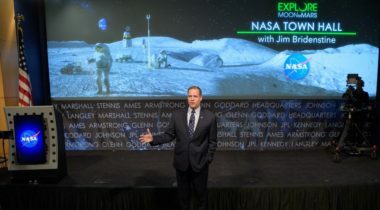 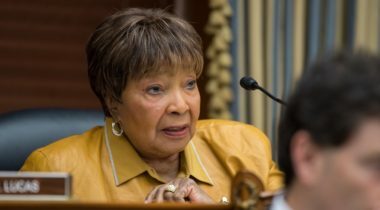 A day after Vice President Mike Pence directed NASA to return humans to the surface of the moon by 2024, NASA Administrator Jim Bridenstine told members of Congress that this goal was “very aggressive” and would require additional funding for the agency to achieve. 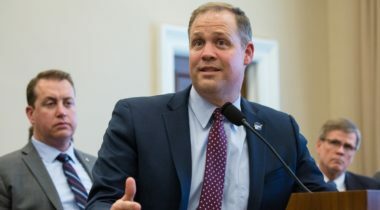 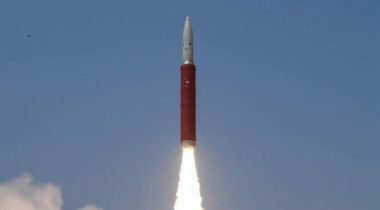 A day after announcing that NASA was studying the possibility of shifting an Orion mission from the Space Launch System rocket to commercial vehicles, NASA Administrator Jim Bridenstine said he and the agency still support development of the SLS. 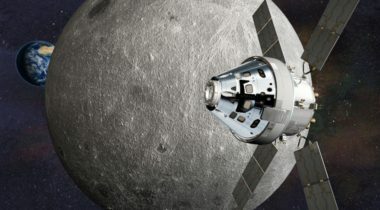 NASA is considering moving the Orion spacecraft that was to fly on the first Space Launch System mission to a commercial rocket to keep that mission on schedule for mid-2020. 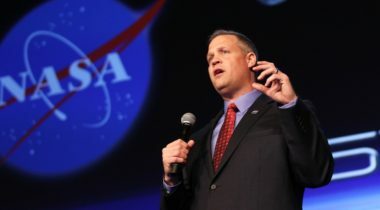 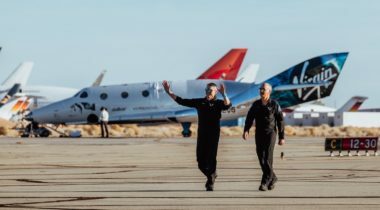 Ten days after NASA Administrator Jim Bridenstine effectively canceled a visit to the United States by the head of Roscosmos, Dmitry Rogozin, the two spoke by phone Jan. 14 to smooth over differences between the two. 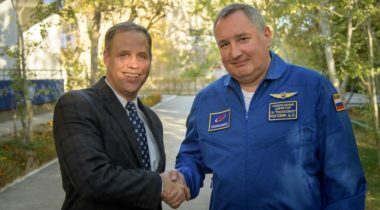 NASA said Jan. 4 it is delaying a planned visit to the United States by Dmitry Rogozin, the head of the Russian space agency Roscosmos, a trip that had become increasingly controversial. 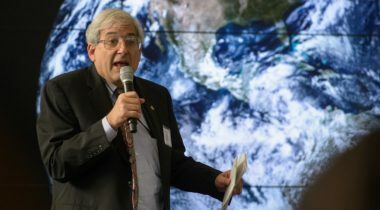 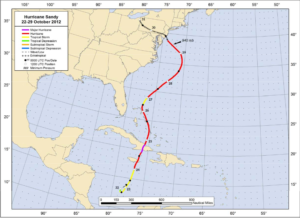 Nearly a year after the release of the latest decadal survey for the field, the head of NASA’s Earth science program says the agency is making good progress in implementing its recommendations. 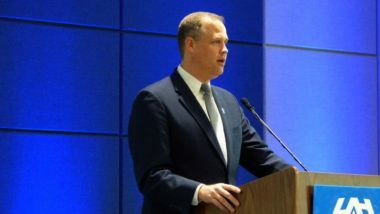 Despite concerns about quality control in Russia’s human spaceflight program in the wake of two incidents, NASA Administrator Jim Bridenstine said he was confident the Soyuz would return to flight safely by the end of this year. 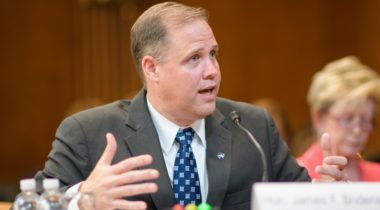 NASA Administrator Jim Bridenstine said Oct. 23 that he expects the next International Space Station crew to launch on a Soyuz spacecraft in December as an investigation into an aborted launch earlier this month wraps up.